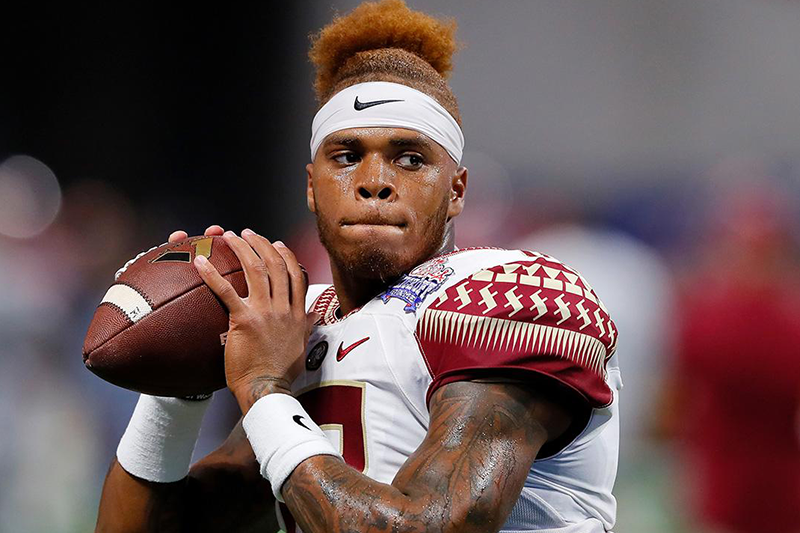 TALLAHASSEE, Fla. – Florida State quarterback Deondre Francois was involved in a domestic dispute with his pregnant girlfriend late Tuesday afternoon, but he is not being further investigated for his role in the incident. Both Francois, 20, and the woman, 23, gave varying statements to the Tallahassee Police Department following the incident at Francois’ apartment, where another member of the FSU football team was also present and spoke to police. The officer was unable to establish probable cause to make an arrest for aggravated battery, according to an incident report. No arrests were made, and no charges were filed after the incident. 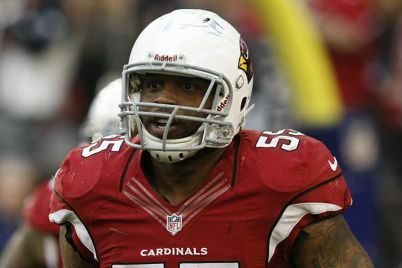 Francois called police to his apartment after an argument ensued between him and his girlfriend. Francois told police she had begun to break items in the apartment, including a vase, and tried to rip a television off a wall. He tried to pick the woman up and take her outside of the apartment, but she began to swing at him. The woman, who told police she is nine weeks pregnant, said she did not want Francois to get in “trouble, trouble.” But she did want the police to speak with Francois to “scare him a little,” according to the report. The woman then asked police if Francois would get in trouble for smoking marijuana at the apartment before the incident. The woman did not want to press charges against Francois, according to the report. The woman said Francois broke his bedroom door after she locked herself inside, picked her up and threw her to the ground, cut her forearm and tried to kick her out of the apartment. The woman stated the cut occurred when Francois tried to “drag her out of the house,” while Francois told police the cut came from the woman breaking the vase. The dispute began because Francois was upset a friend tried to “talk to her,” the woman said in an incident report, while Francois told police it stemmed from a previous argument. The woman told police she and Francois began dating about a year ago, and she had moved into his apartment roughly six to seven months ago. Francois told police the woman previously told him she was pregnant, but she did not provide documentation. FSU running back Zaquandre White, who was at the apartment during the incident, told police the woman began breaking glasses, a vase, and she tried to break a television before locking herself in Francois’ room. The Florida State athletics department had no comment Wednesday when reached by the Orlando Sentinel regarding the incident. Francois is expected to compete for FSU’s starting quarterback position with James Blackman, a former true freshman who replaced Francois in the lineup last season. Francois missed most of his redshirt sophomore season after tearing the patellar tendon in his left knee during the Alabama opener last season. Francois has spent most of the season and offseason rehabbing the injury with hopes of being able to participate in FSU’s spring practice this March.